“Talking about a star is born. You’re the deal girl.” That was the phrase that Oprah Winfrey said after Leona Lewis performed on her daytime show with the runaway success “BLEEDING LOVE” which reached the number 1 single in the US and 23 other countries around the world. Simon Cowell and Clive Davis’ recent discovery, British pop sensation Leona Lewis is on the top of the world. After her Christmas number 1 single in the UK “A Moment like This” which was an original by American Idol Kelly Clarkson had 50,000 downloads in half-a-minute after its release, she is destined to become a world-wide phenomenon. Winning the British counterpart of the world-famous American Idol the “X Factor” which is also judged by Cowell, Leona is said to be the first winner of any reality-singing competition which is to be given a world-wide career debut. The Album, which was released last November in the United Kingdom, was received positively by the critiques and the Brits achieved big amounts of success that made her name listed in the Guinness Book World Records and became the fastest selling debut album in the history of the United Kingdom. The album which is also released around the world is such a big hit debuting at #1 in Charts around the globe. But much of her success is yet to come. With her single reaching number 1 in the US, her album Spirit which is released last April 8 is set to raise the bar high debuting at #1. The US version of her album which features 3 new tracks aside from her 13 outstanding tracks of the original version is a phenomenon. Stand-out tracks would include the hit and infectious “Bleeding Love” which is written by Ryan Tedder of OneRepublic and Jesse McCartney, “Footprints in the Sand” which is a powerhouse ballad that was inspired by the poem “Footprints”, “Take A Bow” which is really one of the best songs written for her and ballads like “Yesterday”, “Angel” and the Akon-produced “Forgive Me”. Not to mention, Leona Lewis’ vocal range is being compared to veteran divas like Whitney Houston, Mariah Carey and Celine Dion. But nonetheless , Leona has her own singing style and her own voice that would capture the hearts of people around the world. 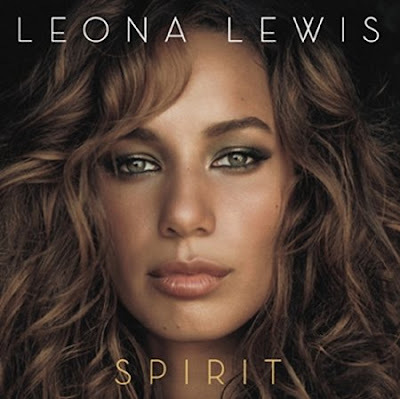 This entry was posted on April 26, 2008 at 9:06 pm and is filed under Uncategorized with tags CD Review, Leona Lewis, Spirit. You can follow any responses to this entry through the RSS 2.0 feed. You can leave a response, or trackback from your own site.